“Bachelorette” contestant Lincoln Adim was convicted of indecent assault and battery last month, before this season’s premiere. “Mr. Adim was found guilty on May 21 of indecent assault and battery for groping and assaulting an adult female on a harbor cruise ship early on May 30, 2016,” Jake Wark of the Suffolk County District Attorney’s Office told TheWrap in a statement. 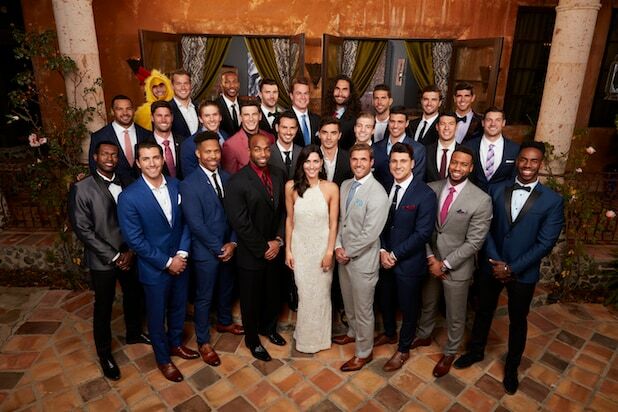 This season of “The Bachelorette” premiered on May 28, and he’s yet to be eliminated from Becca Kufrin’s lineup of eligible bachelors. ABC declined to comment on the matter when contacted by TheWrap. Producers Warner Bros. TV said that they had no prior knowledge of the incident when casting Adim, and said they’re conducting an investigation to find out why his background check didn’t include the charge. 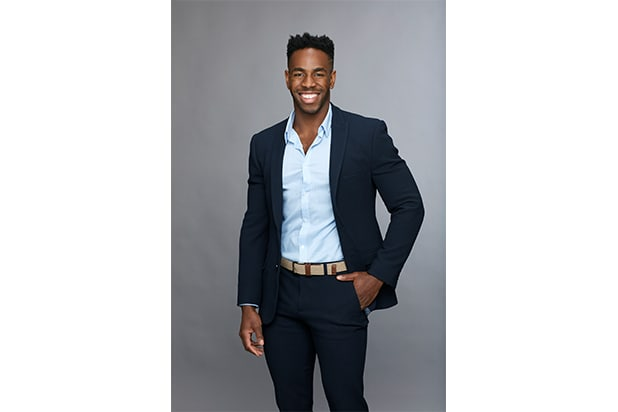 “No one on ‘The Bachelorette’ production had any knowledge about the incident or charges when Lincoln Adim was cast, and he himself denied ever having engaged in or having been charged with any sexual misconduct,” Warner Bros. said in a statement to TheWrap. This isn’t the first contestant on Kufrin’s season to make headlines. Last month, Garrett Yrigoyen apologized for liking offensive Instagram posts. “I am sorry to those who I offended, and I also take full responsibility for my ‘likes’ on Instagram that were hurtful and offensive,” the medical sales rep said on Thursday from a new Instagram account, which he said he created to start fresh. ABC confirmed that the new account is his. “Bachelorette” blogger Reality Steve was first to report the news of Adim’s conviction. “The Bachelorette” airs on ABC Mondays at 8 p.m.
Now Becca is returning to the ABC franchise to find love again, this time as the network's fourteenth Bachelorette. Scroll through to learn more about Becca and the 28 gentleman hoping to win her hand. Becca is a Minnesota native who works at a boutique public relations agency. She loves to host dinner parties and travel. When she was 19, her father passed away, and it has inspired her to live life to the fullest. Blake is a 28-year-old sales rep from the small town of Bailey, Colorado. While he plays football and basketball, he's also a swing dancer. John is a 28-year-old software engineer from San Francisco, California, who likes to wine taste, play guitar and bake banana bread whenever he's not hustling it up in Silicon Valley. Joe is a 31-year-old grocery store owner from Chicago, Illinois. He switched careers from being a trader in the Chicago stock exchange. Trent is a 28-year-old realtor from Naples, Florida, though he's originally from Carrol, Iowa. He's also a model who has appeared in catalogues and on romance novel covers. Rickey is a 27-year-old IT consultant from San Diego, California, who comes from the world of Wall Street. Kamil is a 30-year-old "social media participant" from Monroe, New York. He was born in Poland and moved to the States when he was five. Garrett is a 29-year-old medical sales rep from Reno, Nevada. He grew up in a small California town and loves fly fishing, hiking and snow-shoeing. Connor is a 25-year-old fitness coach from St. Petersburg, Florida. He used to play baseball for the Atlanta Braves. Grant is a 27-year-old electrician from Danville, California, who espouses healthy doses of sarcasm. Jake is a 29-year-old marketing consultant from Minneapolis, Minnesota, who is a hopeless romantic with an adventurous streak. He likes motocross and bungee jumping. Darius is a 26-year-old pharmaceutical rep from Sherman Oaks, California. He loves to travel, dance and give back to others. Jason is a 29-year-old corporate banker from Seattle, Washington, who just so happens to love Disney songs. Leo is a 31-year-old stuntman from Studio City, California, who also works for his family construction business. Jordan is a 26-year-old model from Crystal River, Florida, who also loves kayaking and running. Wills is a 29-year-old graphic designer from Los Angeles who is also a huge Harry Potter fan. Christian is a 28-year-old banker from San Diego, California, who was born in Mexico. He used to play semi-professional soccer. Jean Blanc is a 31-year-old colognoisseur from Pensacola, Florida. He was born in Haiti before moving to Boston with his family when he was three. He currently works in finance. Mike is a 27-year-old sports analyst from Cincinnati, Ohio, who loves his bulldog Riggins and state fairs. Colton is a 26-year-old former pro football player from Denver, Colorado, who currently runs a charity to fight cystic fibrosis. David is a 25-year-old venture capitalist from Denver, Colorado. He enjoys golfing, skiing and spending time at his family's beach house. Clay is a 30-year-old pro football player from a small town outside of Chicago, Illinois, and considers himself a good mix of city and country boy. Ryan is a 26-year-old banjoist from Manhattan Beach, California, originally from Cape Cod. He plays with his family in a bluegrass band and also enjoys sailing. Lincoln is a 26-year-old sales account exec from Los Angeles, California, originally from Nigeria. Named after Abraham Lincoln, he wants a big family and to make his mom proud. Alex is a 31-year-old construction manager from Atlanta, Georgia, who loves country music and spending time on his boat. Nick is a 27-year-old attorney from Orlando, Florida, who loves brunch, barbecues, the beach and track suits. Chris is a 30-year-old sales trainer from Orlando, Florida, originally from New York. He's passionate about health and fitness. Chase is a 27-year-old advertising VP from Sanford, Florida, who competed in the College World Series for the University of South Carolina. He loves adventure and the outdoors. Christon is a 31-year-old Los Angeles, California who quit his corporate job to become a Harlem Globetrotter. He's now a professional dunker in LA.